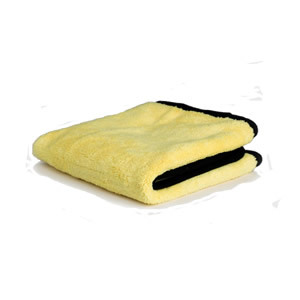 A deep-pile plush microfibre that is perfect for residue removal and final buff-off. The cloth has a deep fluffy pile both sides, with black micro-suede edging for scratch-less detailing. Perfect for quick detailing tasks, dusting down and even soaking up water. Primo Plush is also perfect for that final buff-off.